The new AC4C1-12 is a 4 Watt combo amplifier with a 12? 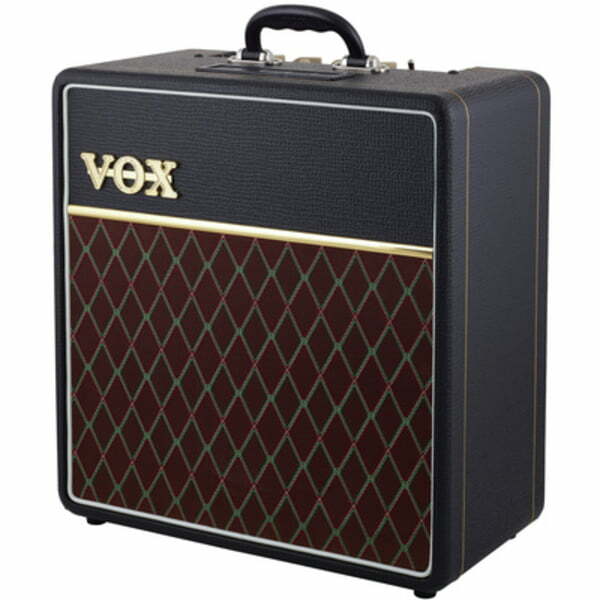 speaker that carries on the VOX tradition Among the various VOX tube amps, the AC4 has remained one of the most popular over the years, as they provide a simple and hassle free way to enjoy the rich sound of a tube driven amp. While previous models were equipped with a 10-inch speaker, this new model features a 12-inch Celestion speaker that delivers even more robust sound levels. 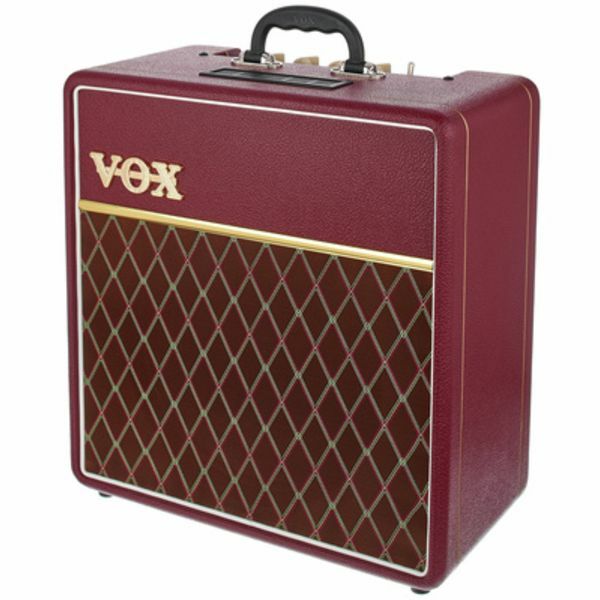 With diamond grille cloth and basket-weave vinyl exterior, it also carries on the classic looks of the VOX tradition. This is a Class A tube amp that you can enjoy whether you're practicing at home, performing live, or recording. Highlights: ? All-tube mini combo amp ? 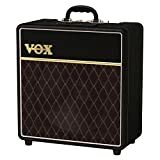 Legendary Top Boost tone inherited from the VOX AC30 ? Gain, Bass, Treble, and Master Volume controls ? 4 Watt Class A amplifier design ? 12AX7 preamp tubes (x2); EL84 power tube (x1) ? 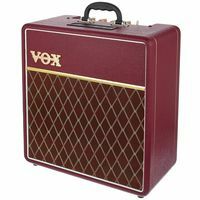 12 Celestion VX12 speaker; retro Bakelite handle The AC30's Top Boost sound has fascinated guitarists around the world for over fifty years. Capable of massive crunch or the clean, classic ?chime,? this Top Boost tone is the essence of VOX's identity. The AC4C1-12 now delivers this unbeatable sound in a portable, compact body. 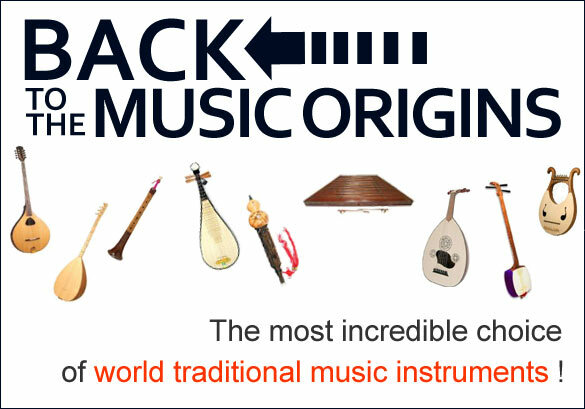 Gain control, Bass and Treble tone controls, and a Master Volume allow any player to easily recreate this historic sound.